[PDF] English File: Intermediate Plus: Workbook with Key (3rd edition) | Free eBooks Download - EBOOKEE! 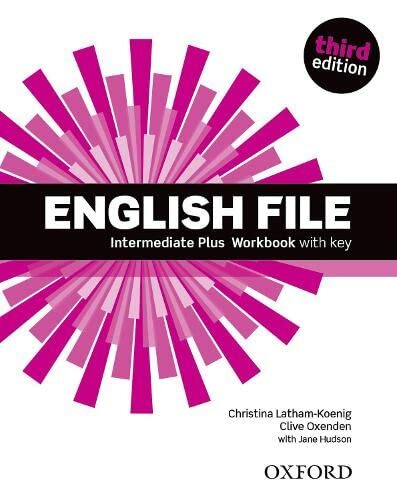 Description: A blend of completely new lessons, updated texts and activities, together with the refreshing and fine-tuning of some favourite lessons from New English File - English File third edition provides the right mix of language, motivation, and opportunity to get students talking. English File third edition offers more support for teachers and students. No comments for "[PDF] English File: Intermediate Plus: Workbook with Key (3rd edition)".